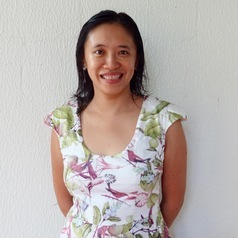 Vannessa Hearman is senior lecturer in Indonesian Studies at Charles Darwin University in Australia. She is a historian of Southeast Asia. Her research interests are in the area of history, memory, and social activism and movements, particularly related to Timor-Leste and Indonesia. Her book, Unmarked Graves: Death and Survival in the Anti-Communist Violence in East Java, Indonesia is published by NUS Press. Hearman is currently researching the history of East Timorese asylum seekers in Australia. Vannessa is a NAATI certified Indonesian interpreter and translator and an experienced conference interpreter. She has previously worked as a translator/interpreter with the United Nations Transitional Administration in East Timor (UNTAET), in cross-cultural training, and in aid and development with Australian Volunteers International.